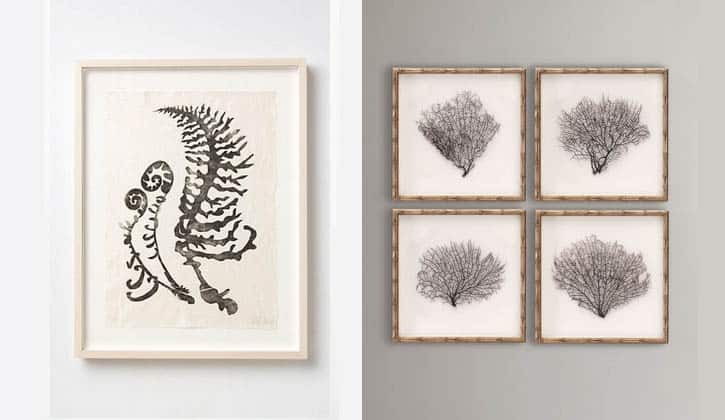 [Anthropologie Fern Print use black watercolor to create this free-form fern painting. 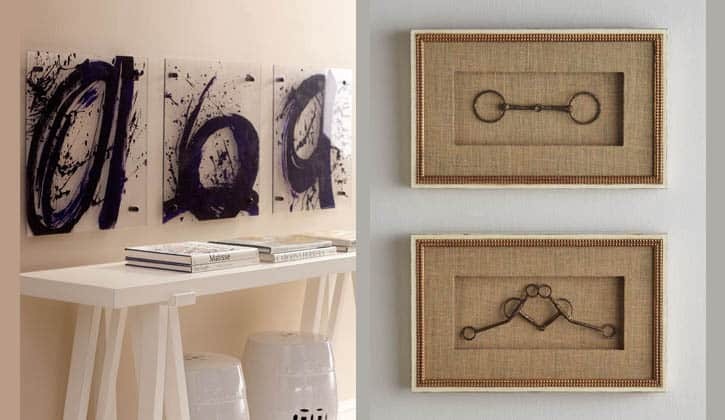 Framed Sea Fans put sea fans (check Etsy) in wood frames to create this beach-y decor. That collection of plates is lovely! 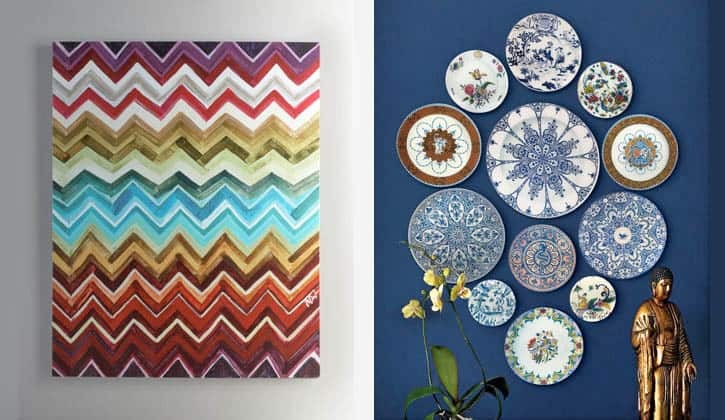 Love the chevron- so Missoni!